This fascinating cultural holiday to India explore the sacred sites of 3 great religions in the beautiful north. 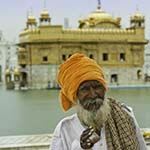 Visit the Sikh Golden Temple in Amritsar, the Buddhist headquarters of His Holiness the Dalai Lama in Dharamshala & Hindu's sacred River Ganges in Rishikesh. Also visit Shimla, ride the Toy Train & enjoy a safari in Jim Corbett Tiger Reserve. English speaking driver, city guides, jeep safaris & sightseeing included. You will be met at Delhi Airport by your driver and transferred to your hotel in this ancient capital of kingdoms and empires that is now a sprawling metropolis. Delhi's strategic location was one of the main reasons why successive dynasties chose it as their seat of power and today it is a conglomerate of seven cities. The division between the old walled city and New Delhi marks a division in lifestyles, with the old city retaining its past traditions whilst New Delhi strives to match the pace of the 21st century. Today enjoy a full day tour of modern New Delhi and the 17th century walled city of Old Delhi, which came to prominence when Shah Jahan moved his capital here from Agra. In Old Delhi enjoy a cycle rickshaw ride through 300-year old Chandni Chowk market, a maze of lanes crowded with noisy shops selling an extraordinary variety of items and foods, and past the Jamia Masjid (or Friday Mosque), the largest in India, and drive past the imposing walls & battlements of the Red Fort, once the most opulent palace in the Mughal Empire. We continue to the Raj Ghat - the simple but moving memorial on the site where Mahatma Gandhi was cremated. In the afternoon our tour of New Delhi starts with a visit the Qutub Minar, an ancient victory tower built of red sandstone and marble in 1199 and still the tallest minaret in India. With its imposing cylindrical towers and surrounding ruins, it is today a World Heritage site. Our next stop is Humayuns Tomb, the beautiful mausoleum of the Mughul emperor Akbar, that inspired the Taj Mahal. We drive along the Rajpath - the capital's broadest avenue - where you will see the imposing arch of the India Gate war memorial, Parliament House, the Rashtrapati Bhavan presidential residence built for the Viceroy of India, and the government buildings on Raisina Hill. Rise early this morning and transfer to New Delhi Station to board the express train (air conditioned chair class) departing 07.20 for Amritsar in the Punjab. Enjoy wonderful views of the countryside as you travel through northwest India, arriving in Amritsar around 13.35. Here you will be met and transferred to your hotel in this pilgrimage city that is spiritual centre of the Sikh religion. This city is also known for its magnificent carpets and fabrics, farm produce, handicrafts, rich cuisine and culture. Note: Because of the very short (2-minute) stops at each station, train travel in India is not recommended for the elderly or those travelling with children, when it is better to fly. Likewise during December & January when heavy fog can causes long delays. This morning we visit the magnificent Golden Temple. Shining in the morning light, with its large dome surrounded by elegant minarets and splendidly gilded interior panelling, this temple is a magnificent place of worship for devotees of the Sikh faith worldwide. Near the temple we visit the Sarovar, a sacred holy water pool, and Langar - one of the largest community kitchens in the world. Afterwards we visit Jallianwala Bagh where on 13 April 1919 British Indian Army troops under the command of Colonel Reginald Dyer, fired into a crowd of hundreds of protesting men, women and children. This Amritsar massacre site is now a memorial garden. In the afternoon we drive 2-hours to the Wagha Border, the only crossing point between India and Pakistan. Here the changing of the guards and flag-lowering ceremony is performed daily with blustering pomp and perfect drill by both side - described by Michael Palin as "carefully choreographed contempt". A jawan (infantryman) stands at attention on each side and as the sun sets, the iron gates at the border are opened and the two flags are lowered simultaneously. The ceremony ends with a retreat that involves a brusque handshake between soldiers from either side, followed by the closing of the gates again. Today we drive 5-hours to the city of Dharamshala in the Kangra Valley, surrounded by dense coniferous forests. This is the home of His Holiness, the Dalai Lama - the spiritual leader of the Buddhists of Tibet. It is also the headquarters of the government of Tibet, in exile since 1960 (the Central Tibetan Administration). After checking into your hotel, relax in the beautiful Dhauladhar mountains. This morning we visit Tsuglagkhang - the Dalai Lama Monastery complex at McLeod Ganj in the upper reaches of the Kangra Valley. Here you can learn more about the Buddhist faith and see traditional Tibetan prayer wheels. We hike to see the beautiful Bhagsunag Falls and visit the old Bhagsunag Temple. We also visit the Anglican church of St. John in the Wilderness, in whose churchyard the former British Viceroy of India and Governor General of Canada, Lord Elgin, is buried. The church has lovely Belgian stained glass windows donated by Lady Elgin. Then visit Kangra Art Museum and the War Memorial that honours those Gurka soldiers - "the bravest of the brave" - who died in two world wars and fighting for the independence of India. We continue to the Norburlinka Institute, dedicated to preserving Tibetan culture by handing down its traditions in art and literature and providing training, education and employment for the exiled people of Tibet. This includes high quality thangka painting, traditionally crafted statues, screen-printing, applique, woodcarving, wood painting, papermaking and metal craft. Note: The Norburlinka Institute is closed on Sunday. A full day on the road today as we leave Dharamshala and travel 6 to 7-hours through breathtaking landscapes of deodar and pine trees, meadows, valleys, fruit orchards and the snow capped peaks of the mighty Himalayas to the hill station at Manali. On arrival check into your hotel in this small town, through which the clear waters of the Beas River meander. Another full day on the road today as we travel 7 to 8-hours from Manali through the stunning scenery of the Himalayas to the hill station at Shimla. Referred to as the "Queen of Hills", Shimla was the summer capital of British India and is steeped in colonial history. On arrival check into your hotel and relax in the fresh mountain air. Today enjoy a half day tour of Shimla. We start with a visit to the splendid Rashtrapati Niwas (Viceregal Lodge) that was built in 1888 by Lord Dufferin in Scottish baronial style, to house the British Viceroy and his staff for the six months they were based in the town. It is now a museum with beautifully laid out Botanical Gardens and a touching collection of hotographs from the late Victorian era and the last years of the Raj. It also houses the Indian Institute of Advanced Studies. Afterwards we walk along the pedestrianised Mall from Scandal Point and Christ Church, past the Post Office, Gaiety Theatre and Town Hall. Here commerce rubs shoulders with stately colonial buildings, churches and other landmarks and at the end you will find the colourful local market - the Lakkar Bazaar. Shimla is particularly well known for the quality of its local pashmina shawls. The afternoon is free to relax at your hotel or visit the hot springs that are believed to have medicinal value. You can also visit the ancient Jakhoo Hindu temple, situated at the highest point in the town (pay for guide & entrance fees locally). This morning transfer to Shimla Railway Station to board the Toy Train, travelling 5-hours through beautiful scenery to Kalka. One of India's five 'Toy Trains' built by the British, it is registered in the Guinness Book as the greatest narrow gauge engineering achievement in India. The train passes through breathtaking landscapes of the majestic Himalayas - with 103 tunnels, 969 bridges, 919 curves and over 20 railway stations along the way. Enjoy splendid views of the snow-clad Himalayas, covered with thickly populated pine and oak forests. Arrive at Kalka Station in the late afternoon and transfer 1-hour to the modern city of Chandigarh, the joint capital of Punjab and Haryanaa and one of the best planned cities in India. Note: The small Toy Train is not air-conditioned, so be prepared for an interesting cultural experience (not a luxury journey). Your driver will continue overland and meet up with this slow train at some stations along the way, giving you the option to disembark and continue by road. Some of these drivers may encourage you to do this. If this happens and you wish to remain on the train, speak firmly to them. Please note your porterage is already pre-paid. We travel 5-hours today from Chandigarh to Rishikesh, situated on the banks of the sacred River Ganges. Rishikesh is a holy city with many temples along its banks and is vegetarian by law. Legend states this is where Lord Rama did penance for killing Ravana, the demon king of Sri Lanka. After checking into your hotel, balance of day at leisure in this town of yoga and ashrams. Today enjoy a City Tour, including the famous iron suspension bridges of Ram Jhula and Lakshman Jhula, which offers magnificent views. It is said that Lakshmana (the brother of Lord Rama) crossed the River Ganges on jute ropes at this point. We also visit the Hindu temples at Haridwar, before proceeding at dusk to the Triveni Ghat (bathing steps) to experience the daily Aarti prayer ceremony on the banks of the River Ganges. This morning we travel 4-hours from Rishikesh to Jim Corbett National Park - the oldest wildlife sanctuary in Asia, magnificently situated in the foothills of the majestic Himalayas Mountains. This national park was named after Jim Corbett - the famous hunter turned conservationist who played a key role in its development. Established to protect the endangered Royal Bengal tiger, over 73% of the park consists of dense and moist deciduous forest, with a wide diversity of flora and fauna including nearly 500 different plant species. Check into your lodge near the entrance to this famous reserve. Rise early today and depart before breakfast on a shared jeep safari into Jim Corbett National Park. This national park is home to the Royal Bengal tiger, over 50 mammals, 25 reptiles and more than 570 different bird species. It is also one of the very few places in India where you can enjoy viewing Asian elephants in the wild. The Ramganga River, which originates in the lower Himalayas, traverses more than 60 miles (100 km) before entering the park near Marchula and provides a vital perennial water source to this national park, which also provides sanctuary to sloth bears, Himalayan black bears and the Indian grey mongoose. Early morning is the best time to track tigers and other wildlife, but be aware that it is extremely difficult to find tigers in this national park and sightings are rare. Best viewings are generally at the end of the dry season (March to May), when the tigers search out the waterholes. Game drives usually last 3 to 4 hours, but you can return to your lodge sooner if you wish. After lunch at your hotel, in the afternoon enjoy another game drive in the park, where the bird watching is outstanding. Note: This tiger reserve is closed during the Holi & Diwali festivals, as well as during the monsoon season (mid June to mid November). Please note we always try to book jeep safaris, but these can only be reserved 90 days in advance and cannot be guaranteed - in which case your game drive will be in a 20-seater canter. Jeep safaris require warm clothes, including woolly hats and gloves, to protect you from the wind chill in your open vehicle. Enjoy a final early morning shared jeep safari in Jim Corbett National Park. Afterwards we spend a full day on the road as we drive 6-hours to Delhi, travelling through the rural countryside of northern India. You will be dropped off at your hotel situated near the airport. Transfer to Delhi Airport for your flight home.